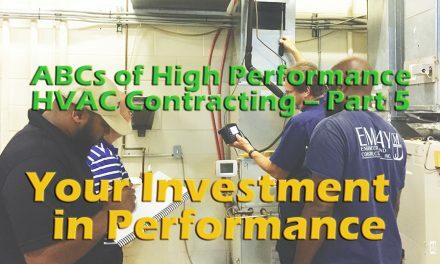 Troubleshooting the airside of an HVAC system can be one of the most frustrating, yet rewarding challenges you’ll have in this industry. Airflow is at the core of what we do — yet it’s one of the most misunderstood aspects of an HVAC system. To understand it, you need to have a firm grasp of the rules driving airflow characteristics and behaviors. 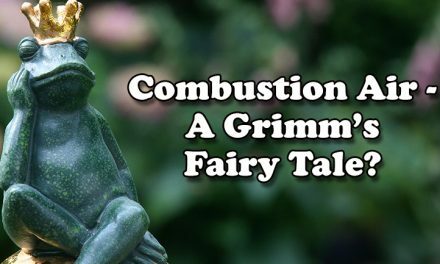 What you’ll find is many of the most complicated issues you encounter often tie to an airflow problem. 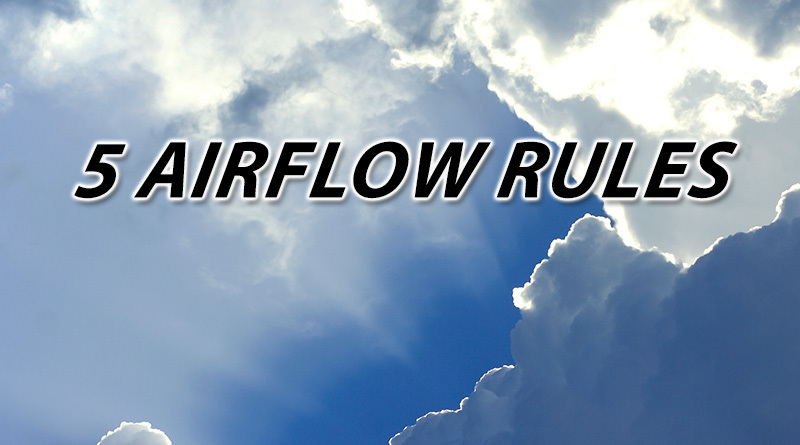 Let’s look at five airflow rules that can help you master the airside of your profession. Air is lazy. It always seeks the path of least resistance. Leak points are those paths. Air is lazy and you can bet on it taking the path of least resistance. That’s why air always takes the easy way out as it moves around inside a duct system. 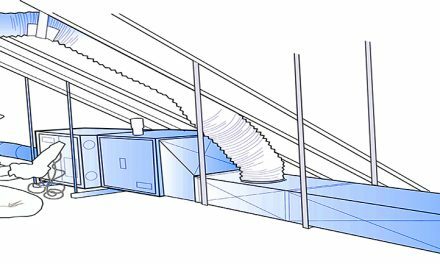 It’s much easier for air to pass through a large duct leak (or multiple small leaks) near the equipment than flow to the appropriate supply register or through the intended return grille. We’ll look more at the impacts of pressure and duct leakage in Rule #3. Poorly installed filter racks or restrictive air filters take full advantage of this rule. Since airflow takes the path of least resistance, a poorly installed filter rack allows unfiltered air to go around the filter instead of through it. Unfiltered air might be carrying dirt and dust that is distributed by the HVAC system into the coil and the building, causing indoor air quality (IAQ) and maintenance concerns. Poorly installed coils follow the same rule. Airflow is measured in cfm (cubic feet per minute). To visualize cfm, imagine a 12″x12x12″ cardboard shipping box full of air. This roughly represents 1 cfm of airflow. For every 1 cfm of airflow that goes into a fan blower wheel, 1 cfm of airflow must also leave the blower wheel. Let’s say you have a three-ton system operating in cooling mode. You measure actual fan airflow at the air handling equipment and determine you’re moving 1200 cfm. This means you have 1200 cfm of air being pulled into and 1200 cfm of air being discharged from the fan. It doesn’t mean you have 2400 cfm of total airflow though; you’re only working with 1200 cfm. 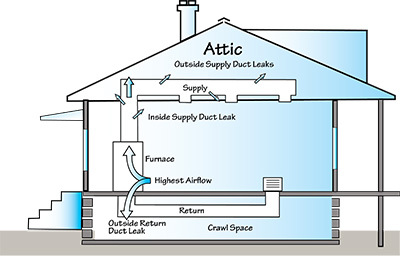 The quality of the duct system determines whether air makes it to the intended point. The fan moves this amount of airflow from the return side to the supply side of the system. This represents the amount of air you must move through the duct system too. So the quality of the duct system installation determines whether air makes it to the intended point. Just as static pressure is always highest at the fan, so is airflow. 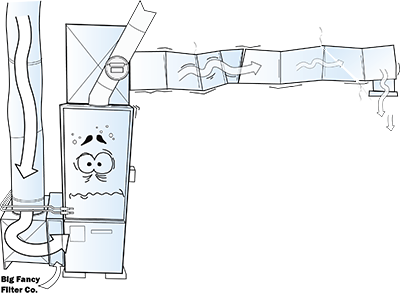 Most duct systems leak and as air moves toward the registers, the total amount of air in the system decreases. Think of air in ducts like water in a leaky pipe. There is only so much airflow to move from the air handling equipment through the duct system to individual rooms. If airflow is lost due to duct leakage, you can never deliver real comfort to your customers. So, to best use airflow, you must contain it. The only way to do this is by properly sealing the duct system. When a duct system leaks you have no way to know where the airflow goes. Proper airflow is important when trying to achieve comfort in individual rooms. If conditions in a duct system exist that let air bypass its intended delivery point, the air will take the path of least resistance (Rule #1) every time. If the proper amount of airflow into a room is assumed instead of measured, Rule #3 could cause you headaches. Differences in air temperature create air movement. A simple way to remember this is “hot air rises, cold air falls.” Heated air will move towards the upper levels of a building, while cooler air moves to the lower levels. This action often contributes to many comfort-related customer complaints. HVAC professionals attempt to counter this action through the strategic placement of return grilles, often with limited success. In many cases, success is achieved with the proper selection of supply registers. A good supply register can help mix conditioned air and room air to reduce large temperature variations in a room. 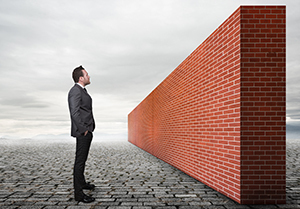 Another issue to consider is building leakage. This can allow unconditioned air to be brought inside while conditioned air leaks out. If building leakage is the cause of your customers’ woes, return grille placement and supply register selection won’t be enough to cure the problem. 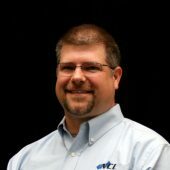 Airflow measurement is traditionally a rule-of-thumb guess. In the old days I used the palm of my hand to measure airflow. My measurements consisted of “blows great” and “plenty of air.” I really had no idea if the proper amount was there. Great things happen when airflow is measured with the right test instruments. By measuring, you raise the bar and hold yourself accountable to the type of work you perform. The information you obtain from a few static pressure readings and a fan table will forever change how you view an HVAC system. I urge you to become a student of airflow. Begin studying and building on these five rules. You’ll discover there are many more rules and laws that airflow abides by as your knowledge increases. The more you understand air, the better you’ll become at mastering it.